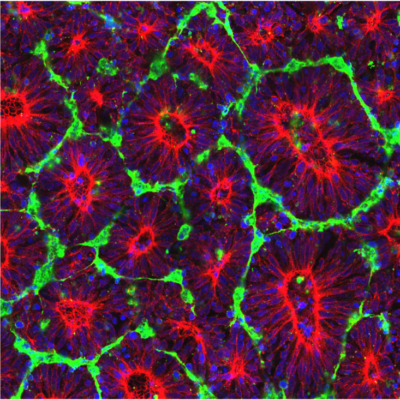 Our goal is to understand, model, and recapitulate in vitro the instructive signals utilized by human embryos to pattern tissue-specific differentiation of pluripotent stem cells, and apply this knowledge towards the rational design of tissue engineered scaffolds and other regenerative therapeutic strategies. Currently, we primarily focus on generating tissues and therapies for the central nervous system. 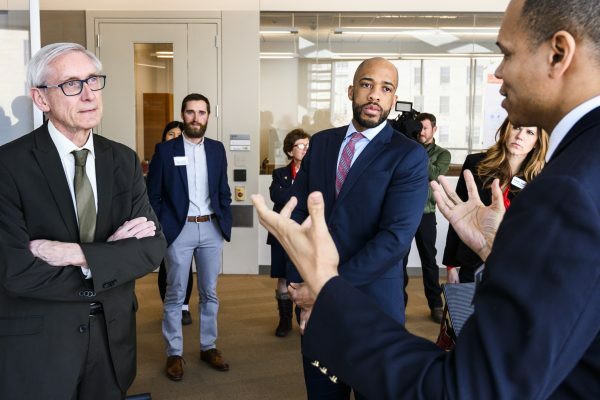 Dr. Randolph Ashton discusses the importance of scientific research with WI Governor Tony Evers and Lt. Governor Mandela Barnes! Micro-patterned substrate tech allows for single neural rosette formation. Green (Pax6), Red (B3 tubulin), Blue (Nuclear). 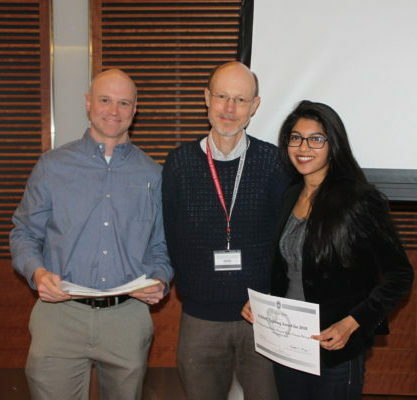 Dr. Nisha Iyer (right) receiving a SCRMC Postdoctoral Fellowship Award from Prof. William Murphy (left) & Prof. Tim Kamp (middle)! Maria presenting "Towards an In Vitro Model of the Human Posterior CNS" at ISSCR 2017, the world's premier stem cell conference. 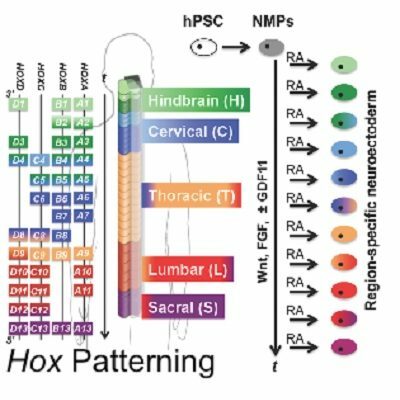 Precisely control NSC regionalization along the hindbrain and spinal cord’s R/C axis (governed by expression of 39 Hox genes). 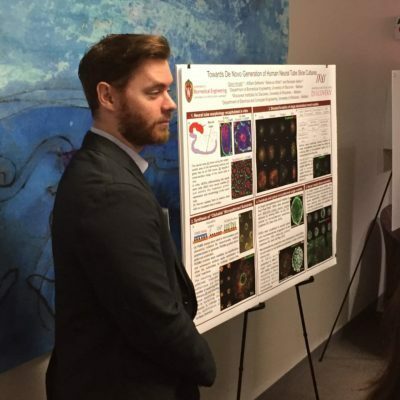 Graduate student Gavin Knight presenting his research at 12th Annual Wisconsin Stem Cell Symposium. 2D neural rosettes grown in cell culture. 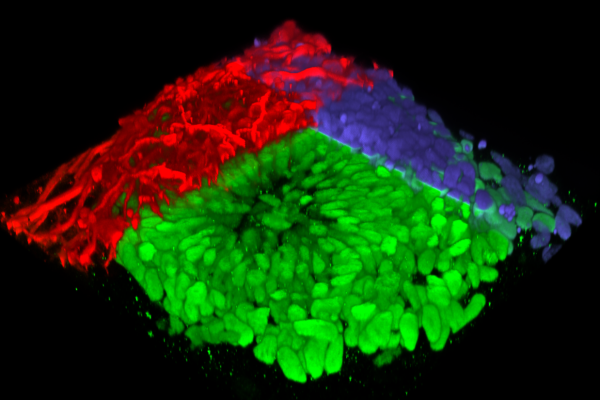 N-Cadherin (red); Cell nuclei (blue); Laminin (green). Graduate student Alireza Aghayee instructing new undergraduate researcher Lexi Doersch with a new experimental practice. 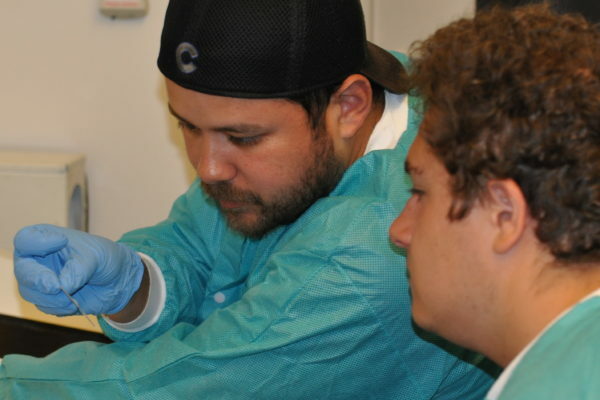 Graduate student Carlos Marti-Figueroa and Undergraduate Researcher Frank Seipel look at a fresh section of organoid tissue. 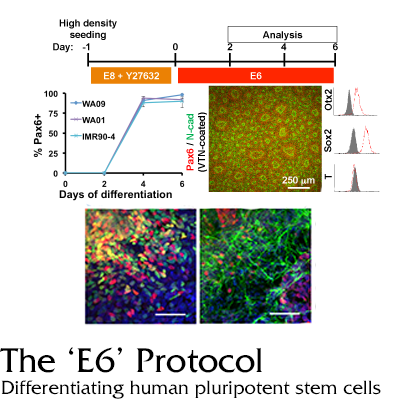 The simplest and fastest protocol for differentiating hPSCs into a pure neural cell culture, xeno-free & clinically translatable. 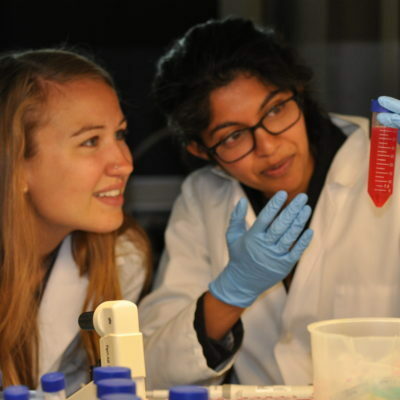 Post Doctoral Researcher Nisha Iyer shows Undergraduate Researcher Stephanie Cuskey an RNA Isolation reagent. Dr. Ashton, Stephanie, and Nikolai viewing a rat spinal cord section using a manual microscope. Dr. Randolph Ashton meets Governor Tony Evers, Lt. Governor Mandela Barnes, and UW-Madison Chancellor Rebecca Blank. See photos (courtesy of Jeff Miller/UW-Madison) here. Please read news story here. Undergraduate Research Assistants Simon Schirber, Tessa Doersch, and Noah Nicol join the Ashton Group! Attention Undergraduates! 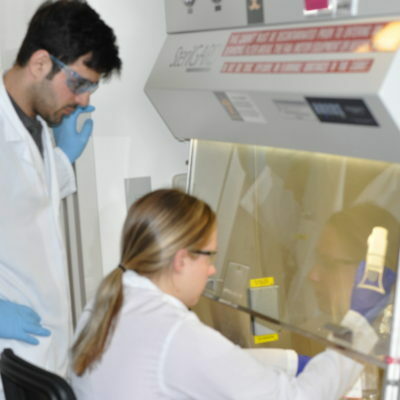 Check out our Summer 2019 REU opportunity to work on a CMaT-associated project titled “Analysis of Cryopreservation’s Effect on Cell Isolates and Manufactured Therapeutic Phenotypes.” Two students will be selected to work on this project. Application deadline is February 15th, 2019. Please see this document for details! Postdoctoral Research Associate Gavin Knight and the Ashton Group publish “Engineering induction of singular neural rosette emergence within hPSC-derived tissues” in the journal of eLife. Congrats Dr. Knight! View WIDs press release for the technology. Also, Dr. Randolph Ashton was featured in a recent Wisconsin State Journal Feature Story and was appointed to an important stem cell research post. Congrats Dr. Ashton! Axosim, Inc. has partnered with the Ashton Lab on a NIH grant to create micro-physiological models of peripheral nerve activity. 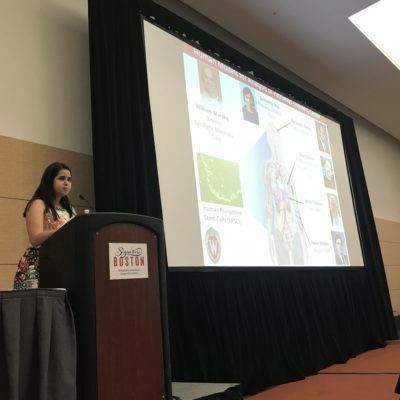 The Ashton Group congratulates Nisha Iyer on her NIH-NINDS F32 Fellowship award for her work entitled “Regionalized Human Motor Neuron Therapies!” The Ashton Group also welcomes new Undergraduate Research Assistants Jacky Tian and Janavi Kotamarthi! The Ashton Group welcomes Summer Undergraduate Research Assistants’ Pranav Gadangi and Susan Okrah. 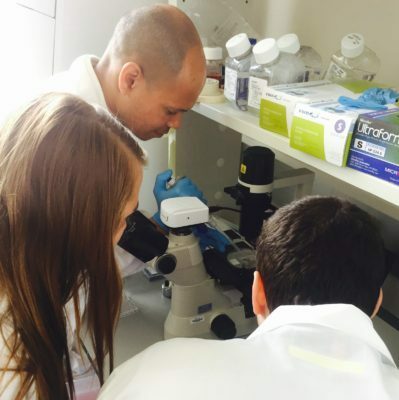 They will be assisting Carlos and Nisha with various research-related projects. Feedback, questions or accessibility issues: rashton2@wisc.edu.